Burns, Robert. The poetical works of Robert Burns. 2 vols. Alnwick: printed by William Davison, 1808. 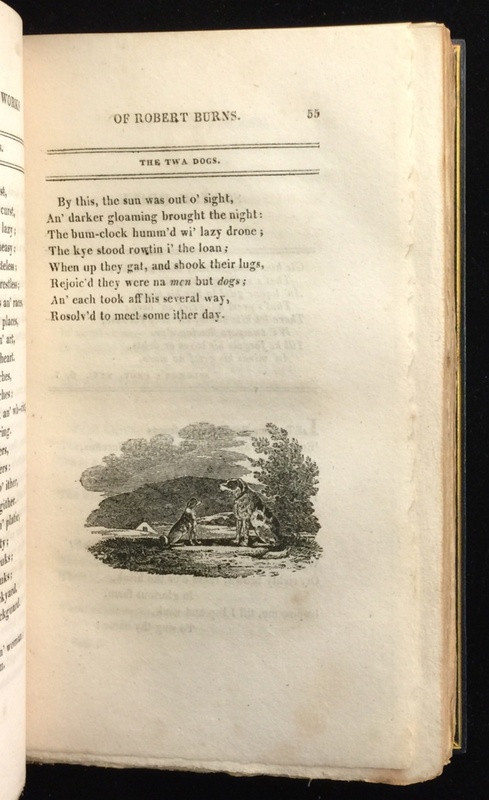 Wood-engravings by Thomas Bewick. Signature of Morris, 3 September 1892, in each volume. Provenance: Morris. — Sessler [dealer]. — Huntington Library (18474) [purchased from Sessler].